Tesco has been powering Star Bazaar, Trent’s hypermarket for a couple of years. The Euro72-billion Tesco was a back-end partner and provided sourcing and technical knowhow. While announcing the formal joint-venture with Tesco last week (following the easing of retail FDI norms), Noel Tata, vice-chairman of the Tata’s retail arm, had said that the company’s understanding of the market along with the UK-based retailer’s expertise would allow them to leverage the potential of the India’s retail scene. “As a JV partner, Tesco’s motivation to bring in its systems and knowhow is higher,” says Devangshu Dutta, chief executive of retail consultant Third Eyesight. Dutta says that senior Tesco executives must have been involved in the Tata business earlier but Tesco’s management involvement can only go up. He reminds that Tesco partnered with Tata not just to remain a back-end player but also study the retail front-end. Both Tesco India and Trent did not respond to queries on the subject. 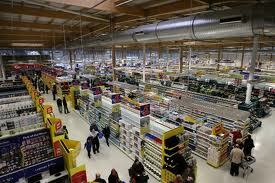 Retail experts say that Tesco is known for three areas of expertise. Tesco’s customer relationship management (CRM) is well documented. It has the popular loyalty card ‘Clubcard’. It also owns dunnhumby, one of the biggest data analytics companies in the world. “In the UK, depending on what customers have bought in the past, it sends customised mailers to shoppers, leveraging its database,” says Abheek Singhi, partner and director at management consultancy Boston Consulting Group. Tesco has not brought in its CRM and data analytics systems to India yet because of Star Bazaar’s limited scale of operations. Neither has it been able to introduce its good-better-best (value, premium and finest segments) approach. However, it has helped the Indian chain across its 16 stores across the country. Tesco provides its proprietary 'planogram' software to Star Bazaar, which helps the latter with a better display of products. For instance, Tesco told Star Bazaar that the retailer need not stock soaps and shampoos near the entrance to the stores. The customer will seek out these essential items wherever they are kept in the store. Rather, it advised Trent to use the vantage position to showcase products with a novelty element and hence, commanding a higher margin, for more profitable sale. in Star Bazaar stores from personalcare to packaged foods. While the contribution of private labels to Star Bazaar’s revenue is in single digits, Tesco sees 45 per cent of business from private labels. According to executives in the know, Tesco has played a role in developing Star Bazaar’s own private labels. “In the UK and other countries, shoppers prefer Tesco’s private lablels over other international brands due to their quality and pricing. We need to see how they will do it in India,” says a director of an international management consultancy who did not wish to be quoted. According to the proposal sumitted to the government, the JV will operate in India through a chain of stores under various banners such as Star Bazaar, Star Daily, Star Market, branded as ‘A Tata and Tesco Enterprise’. The plan is to open three to five stores every financial year. Experts point out that Tesco’s calibre in running multiple formats would come in handy. Tesco runs over 6,700 stores across 12 markets and runs hypermarkets, supermarkets, compact hyperstores , express stores and an online venture. Star Bazaar has tried another format besides hypermarkets, having launched a neighbourhood store called Star Daily in Pune, which is supposed to be based on Tesco Express. The chief executive of a national retail chain says Tesco’s best practices might just help Star Bazaar break even faster. Though Star Bazaar had set up its first store in 2004, it is yet to achieve profits. The chain registered a net loss of Rs 72 crore (Rs 720 million) on net sales of Rs 785 crore (R 7.85 billion) in 2012-13. Many consultants say Tesco could also bring in its renowned ‘Tesco in a Box’ -- its supply chain systems that are deployed in a new country. Dutta says, “When a retailer enters a new country, there is an erosion in its resources as markets are different from each other. Tesco already plays a key role in the supply chain of Star Bazaar. It manages three distribution centres, that ensure high availability and supply to the stores. Armed with its advanced demand forecast system, auto-ordering mechanism and advanced warehouse management system, Tesco has managed over 80 per cent fill-rate (the number of times shelves get filled correctly against the orders placed) at Star Bazaar stores. The industry average in modern retail hovers between 60 and 65 per cent, as against 90-95 per cent in Europe and the US.